Description: Stephanie Atkinson, the chair of IoT, will dive into the core innovation and use cases in building smart communities and cities for good. As funding is scarce and projects get lost in translation and support, the industry must explore innovative funding mechanisms and leverage applications that drive benefits, sustainability, daily life improvement, resources for the betterment of the people, and use technology to provide real quantifiable improvements to the earth, environment, air quality, traffic, pollution, etc. Sprint Keynote - Who is smarter, the city or its citizens? Description: The session will probe our industry experts and thought leaders around what is happening today, what to expect over the next 5 years, technology considerations, security considerations, and predictions for 2018. Hear for our advisory board on factors to consider, challenges to be aware of, success stories, and ideas to bring back to your team. Explore as we break apart live deployment examples, real world examples, segmenting the ecosystem and landscape, and expert perspectives. Description: Moderated by Bill Pugh, hear the latest enterprise end-user IoT perspectives regarding project challenges, objectives, budget considerations, vendor selection, management, and security. Learning from your peers and the exchange of ideas is part of the IoT6 agenda, and we are excited to learn from these executives and thought leaders. Listen to real feedback from live deployments, live projects, real-time engagements and projects. Less focus on proof of concepts, trials, and test pilots and more focus on what real activities in smart cities are getting funded, showing real-live ROI, and benefiting cities and communities. Description: Legacy development approaches and tools simply aren’t architected to handle the enormous flow of real-time, event-driven, data streams generated by IoT devices, existing systems, and people that are necessary to create the Smart Cities of the future. In this session, learn how the revolution in event-driven application platforms enable innovative cities and their vendors to develop, deploy and run real-time operations with dramatically reduced time-to-market, significantly lowered development and maintenance costs, and maximum agility in the face of requirements for continuous innovation and digital transformation. Description: As we continue to enhance chipset and device level analytics at the edge, this session will tie together both the connectivity and analytics imperatives for smart city solutions. 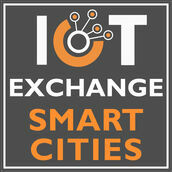 Topics will include connecting via cellular, satellite, LPWAN, Bluetooth, and others, as well as topics including a dedicated core IoT network, edge computing, data analytics, bridging autonomous and self driving with smart roads and transportation, leveraging intelligence as close to the connected asset/sensor/device to better enable smart city applications. Our team of panelists will share optimal solutions, share decision-making considerations, explore technology options and paths, identify benefits and key challenges, and gather feedback from the audience. Description: As municipal budgets are getting increasingly strained, cities and their partners are looking for alternative ways to finance smart city projects. Daniel Obodovski, CEO of the Silent Intelligence and co-founder of SCALE San Diego will share his experience with public-private partnerships and their impact on cities using examples in transportation and city mobility. Description: One of the most discussed topics in IoT today is how to best protect, secure, and plan for the unknown including breaches, malicious network attacks, securing the physical systems, access control and monitoring, protecting assets, and having a post disaster and recovery plan in place in case of a security or hacking incident. Some of the most precious infrastructure and assets (fleets) are the part of the near-term solutions being rolled out within cities, and as such we as an industry need to continue to explore IoT security solutions to prepare, plan, and recover. Security at the device or equipment level to the IT/IoT network includes many stakeholders including the manufacturers, distributors, agencies/departments, IT teams, city leaders, technology vendors, and others. Our team of panelists will explore these topics, as well as provide best-in-class security services, solutions, and managed services to support in securing infrastructure. In addition topics such as blockchain, artificial intelligence, botnets, data security, identity/access control and monitoring, threat detection, risk management, and others will be explored during this session.